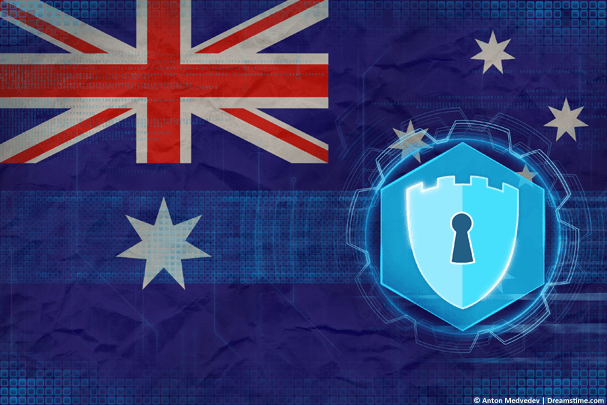 In this guide we’ll be taking a look at the best VPN choices for Australia. We’ve tested a whole range of services and weighed up some of the features that make certain providers stand out for use down under. We’ve also ranked 5 of the best of them to help you make a decision when choosing. Australia is fast becoming a country where a VPN is an absolute necessity for everyday internet use. With some of the strongest privacy-invasive laws being passed both in relation to data retention and weakening encryption, Aussies are certainly vying for the title as one of the most surveilled countries in the world. If you’re not overly concerned (we really recommend you should be) then there are hundreds of other uses for VPN apps in Australia. Everything from accessing overseas content such as Netflix or BBC iPlayer to bypassing ISP restrictions which slow you when you carry out certain tasks. Our favourite VPN right now for Australia is ExpressVPN but it’s worth taking a look at the competition so we’ve ranked 5 of the best below. Before we delve into the provider list it’s worth taking a few minutes to consider some of the features you should be looking for. While choosing a VPN for Australia is much the same as choosing a VPN for America or the UK for example, there are one or two unique factors to consider. Based outside Australia – Ideally, you want a VPN service based outside Australia. There aren’t many homegrown Aussie networks but they do exist and the ones that do could be more easily required to comply with local logging laws than those overseas. Nearby server locations – Australia, as you’ll already know, is geographically isolated. So it’s worth considering which nearby VPN servers are available. New Zealand is the obvious server choice but further afield Hong Kong is a worthy privacy location too. Although Indonesia and other Asian nations may be available they could be subject to their own restrictions or censorship. Price – Almost all VPN services charge in US Dollars. The Aussie Dollar is generally strong but depending on world markets, prices can fluctuate. Locking into a 12-month or longer deal when you see a price you’re happy with makes good sense. Money back guarantee – Get a service with a decent money back guarantee. Many offer 30 days. This gives you loads of time to test it for multiple purposes. Below are our recommended 5 VPN services for Australia. Below you’ll find a more in-depth round up of the features of each service. When looking for a VPN for Australia start with ExpressVPN. 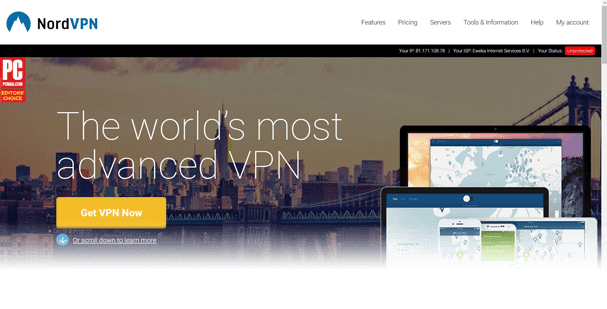 They’re not only our Editor’s Choice VPN service for 2019 but they’re also the best choice for use in Australia. The service offers masses of server locations – in 94 countries to be exact! Australia is well covered with servers in Syndey, Melbourne, Brisbane and Perth. This makes it one of the most well covered across Australia for a VPN service. Further afield you’ve got New Zealand and much of Asia. Servers in Hong Kong, Japan and South Korea are just a few more. ExpressVPN works well with American Netflix and services like BBC iPlayer. They’re also useful for homegrown TV like SBS, 7Plus, Kayo Sports, Network Ten and Foxtel Go amongst others. If you venture off on your travels you’ll still be able to access your favourite TV services. The service claims to be fully ‘no-log’ retaining no data about your connection or activity. This has been proven to be sound in a high-profile criminal case. NordVPN is another forerunner for VPN services for use in Australia. There are some 300 servers in Australia alone covering Sydney, Melbourne, Brisbane, Perth and Adelaide. In fact, they’re the only VPN service we know of that has servers in Adelaide so it’s definitely a bonus if you need local servers. Nearby servers are available in New Zealand, Hong Kong, Taiwan and a host of other countries across Asia. There’s also some 62 countries covered across the world with well over 5,100 individual VPN servers available. The service stores no-logs of your activity which has been confirmed by an audit and they’re registered off-shore in Panama so should be able to safeguard you from any of the privacy-invasive regulations of Australian law. The service works well for American Netflix, BBC iPlayer and many other services across the world. They’re also able to unblock many of the most popular Australian TV services should you go overseas. There’s a 30-day money back guarantee available giving you plenty of time to test the service for your needs. IPVanish VPN is a service up there with the best of them and is another useful one for use in Australia. Servers are available in both Sydney and Melbourne which is slightly less than ExpressVPN and NordVPN above but should cover the majority of your needs, although if you’re in Perth you’ll probably be better with one of the earlier services. There are also nearly 50 other countries covered across the world which includes nearby locations such as New Zealand, Hong Kong and South Korea. The service offers a 7-day money back guarantee which is shorter than the competition but they make up for it with a 10 simultaneously connected devices limit which is far more than most. If you’ve got many devices or a large household then this is a great feature. CyberGhost VPN stands out for Australian use if you’re an avid streamer and love your entertainment content. They’ve got specific servers across their service that unblock all the most popular services from across the world. If you’re after accessing content not available in Australia or before it’s Australian release then consider CyberGhost VPN. Server wise their network is large spanning 59 countries across the globe. Australia is covered with servers in Sydney, Melbourne and Brisbane giving plenty of choices and with over 59 individual servers there’s plenty of power to go around. Nearby servers are available in New Zealand and much of Asia. Again Hong Kong, Taiwan, Japan and South Korea make good choices for hopping outside Australian restrictions. CyberGhost VPN is a Romanian company covered by European Union laws. They claim to store no-logs of your activity or connection and while this is yet untested there have been no negative reports to suggest otherwise. VyprVPN has massively gone up in our estimation this year after they set their service to be fully no-log and had it audited to prove this claim. Local servers are available in Australia in Sydney, Melbourne and Perth. The rarely supported west coast is covered which is great if you’re over on the Perth side. Nearby you’ve got server locations in New Zealand and surprisingly the Marshall Islands. If you’re looking for something a little different then that will tick the box. The usual scattering of Asian servers are available with Hong Kong top of our privacy list. In our recent review of their service, we commended them on their speeds and reliability of connection. Owning their entire network is definitely a factor in this case and they’re one of the most reliable services we’ve tested. There’s no money back guarantee here but a 3-day restriction free trial is available although you will need to drop some payment details to take advantage. Which Australian VPN should you choose? Without question, as an overall VPN service to use for multiple purposes you really can’t go wrong with our Editor’s Choice, ExpressVPN. However, often which VPN is best for you will be dependant on your usage. To help you choose the best for your needs we’ve broken it down into typical usage scenarios below. Pick the one that matches your usage closely and you can’t go wrong. If you want the best all-rounded, choose ExpressVPN. With good privacy protections, the ability to unblock plenty of services and a reliable service they’re suitable for almost all needs. If you want great privacy protections, opt for VyprVPN. They’ve recently announced they’re a ‘no-log’ VPN service and they’ve got an audit to prove it. Coupled with their registration in Switzerland they couldn’t do much more. If you want to unblock TV content galore, get CyberGhost VPN. With specific servers to unblock TV content, they unblock more than most. It’s also super-simple to find the right server for your needs via their helpful apps. If you want a huge range of apps, sign up for ExpressVPN. With apps for Windows, Mac, Android, Apple iOS, Linux, Amazon Fire TV devices and select Routers there’s more selection than most. In fact, it’s pretty difficult to find a device they don’t have an app for. If you want to try before you buy, get VyprVPN or CyberGhost VPN. With a free 3-day trial and a 45-money back guarantee respectively they’re the two best services for testing without risk. If you want to connect the most devices, get IPVanish. They’ve got a whopping 10-device limit. That’s more than most and double the amount than many. There are many reasons why Australians should be using a VPN and most of those mirror that of the rest of the world. However, there are three critical reasons why a VPN is essential in Australia and below we’ve listed them. In 2017 new data retention laws came into effect that requires all internet providers to record and store metadata about all users. Metadata is things like the time you talk to someone, or who you spoke to. It’s not the content of the conversation. It can also include the likes of the websites you visit and the time you visited them. Metadata is important because it can link you to your activity. No one needs to know what you did at a service, only knowing that you used the service can point the finger of suspicion. A VPN allows you to encrypt all of your data which makes it unreadable. Essentially this means your metadata can’t be recorded. Your internet provider could record that you connected to a VPN server at a specific time but they won’t know what you did while connected. Hot on the heels of data retention laws are data encryption laws. These new laws passed at the end of 2018 will force companies to grant backdoors or weaken encryption so that government agencies can read the contents of your communications. It’s essentially a world-first and makes Australia one of the most surveilled countries in the world. By using a VPN service registered outside Australia you should, in theory, be able to put yourself outside this data encryption intrusion. It’s one of the main reasons why choosing a VPN service that has no base in Australia is so critical. Australia has long been at the back of the queue when it comes to media content. Everything from TV shows, movies and games either got released late in Australia or cost way above what they would elsewhere in the world. While things have got somewhat better it’s still the case that Australians have limited choice when it comes to content or where to get that content. By using a VPN you can access overseas TV and movie services and get more content, often for less. Even Malcolm Turnbull clarified a few years ago that using a VPN to access overseas services wasn’t against copyright law. However, we’re not Australia copyright lawyers so you should seek your own clarification before carrying out any unblocking activities. If you’ve got limited time and want the best VPN for Australia for a multitude of purposes then choose ExpressVPN. They’ve got a huge network of servers, many which span Australia and neighbouring countries. They support almost all devices you can think of and they work with many domestic and international TV and movie services. Couple that with their huge 30-day money back guarantee and you’ve got plenty of time to test the service risk-free. If you do have a little more time to search around then it’s worth taking a look at all 5 recommended VPN services above as you may find some features more beneficial. Whichever you choose there’s no need to overthink it because they’re all suitable for use in Australia.